Why? Because the big 50% off in-store post-Christmas sale is on! I’ll show you all the stuff I bought – in a few days. Now onto the mani! 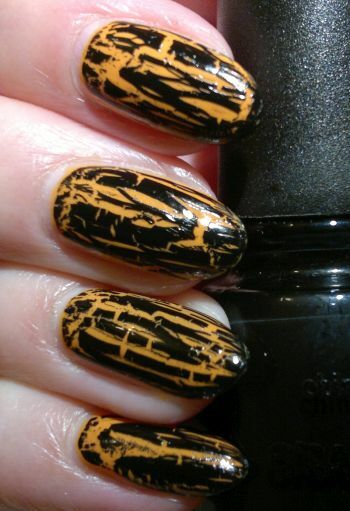 I painted my nails with Rimmel Lycra Pro 322 Sweet’N’ Spicy (one coat). 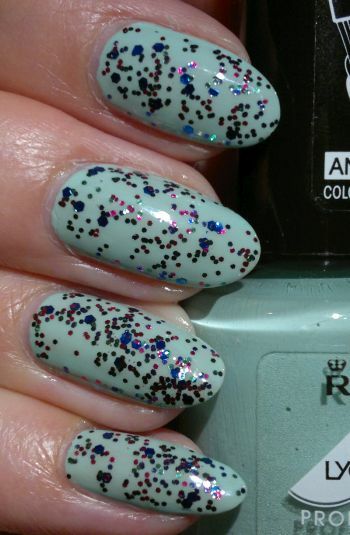 And I topped off my mani with two coats of China Glaze Pure Joy, a limited edition glitter topper from a few years ago. 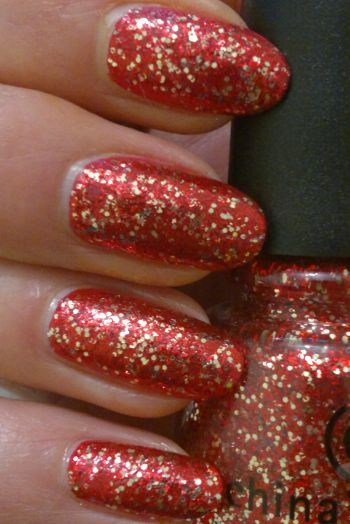 Pure Joy is a densely packed red and gold glitter topper. But I still wanted a simple red base just so that I could skimp on the glitter topper. Anyway, I really like my Mrs Santa nails. How do you like this mani? Feel free to let me know if you want to. And thanks for stopping by! Hi there! I couldn’t decide between green or red nails the other day. So I went for both! 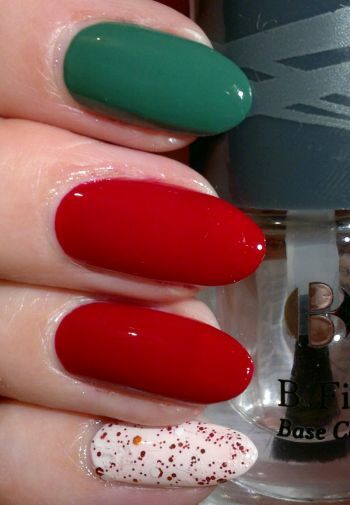 The result is this easy Christmas mani. I chose China Glaze With Love and Astor Lacque Deluxe 880 Forest Green as my base colours. With Love is the ultimate Christmas red. And Forest Green is a great Christmas tree green. 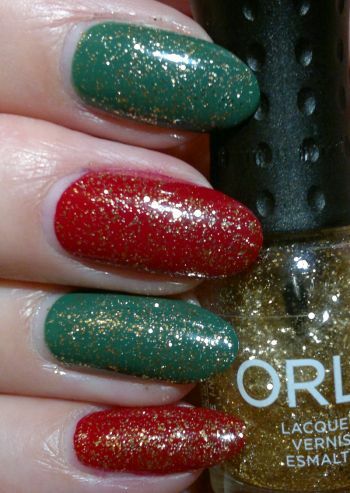 The next step was finding the perfect gold glitter topper – which is always easier said than done. Especially, when you have dozens of glitter toppers! Eventually I chose Essie As Gold As It Gets. 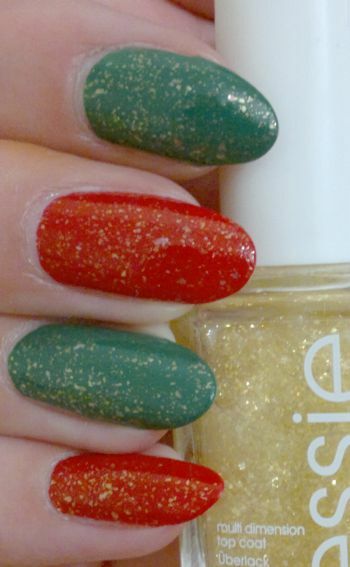 I’m happy with this topper because it looks like gold dust and it’s perfectly christmassey!